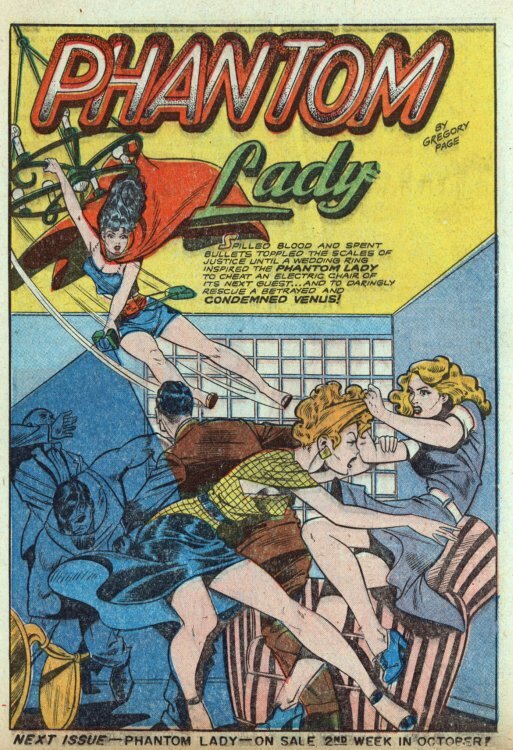 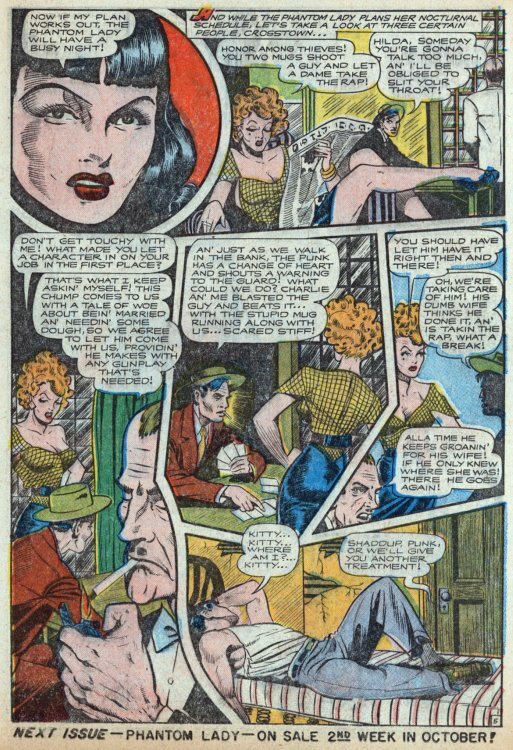 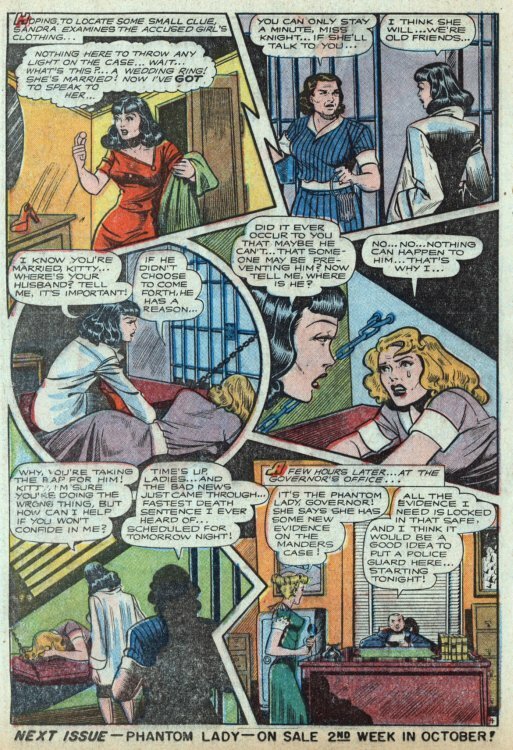 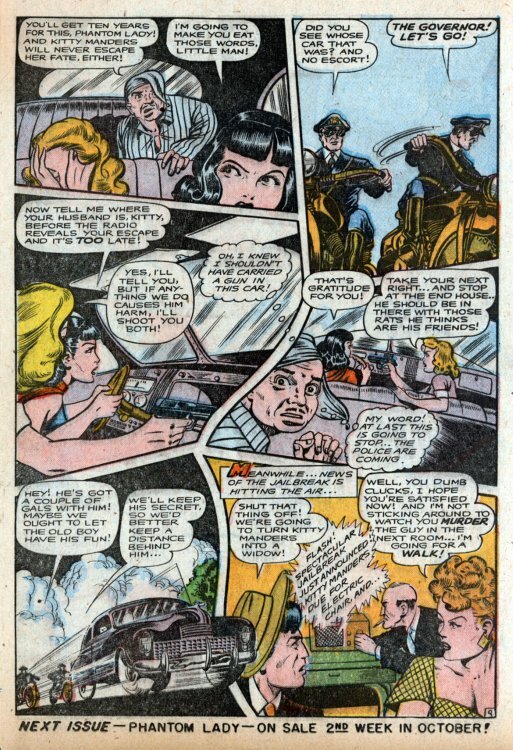 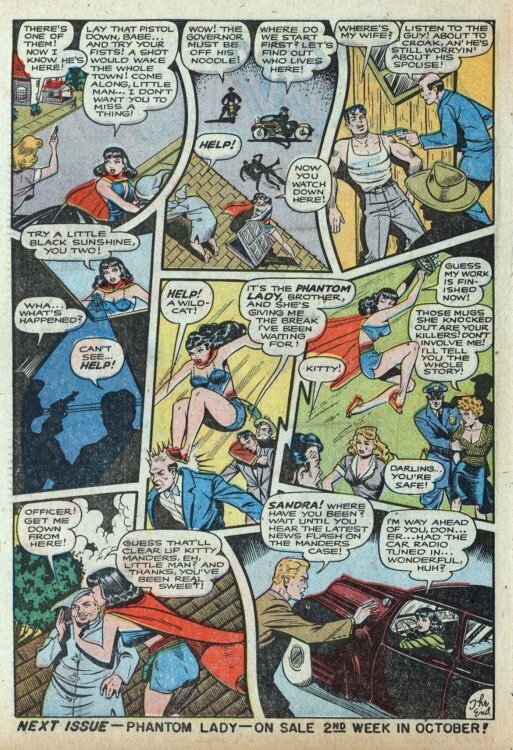 Hero Histories: Reading Room: PHANTOM LADY "Condemned Venus"
The scantly-clad femme fatale who freaked-out Fredric Wertham is back in the second Matt Baker-illustrated tale from Phantom Lady #14 which features her behind bars, though not in a womens' prison! 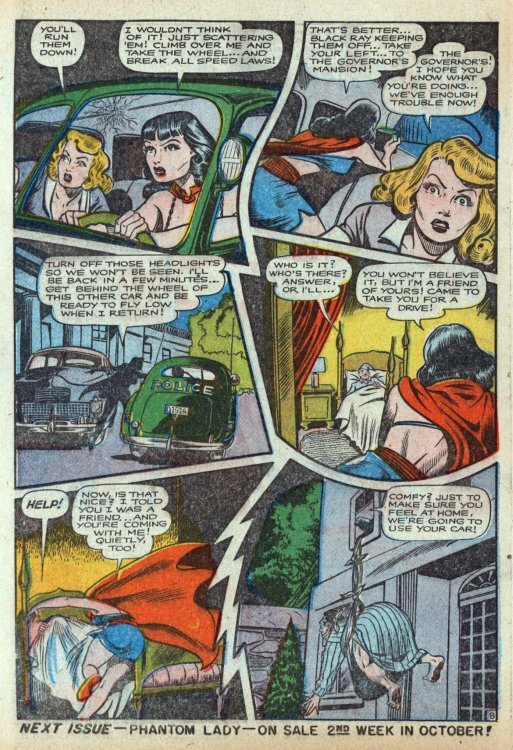 Darn! 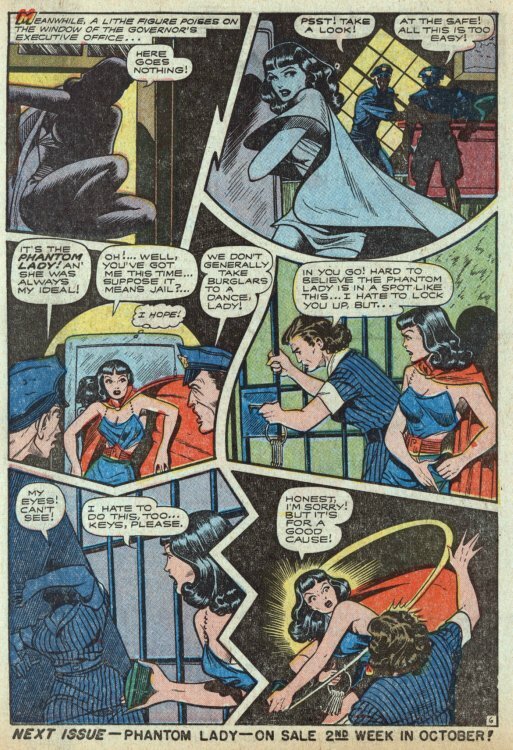 MORE Phantom Lady action next week! 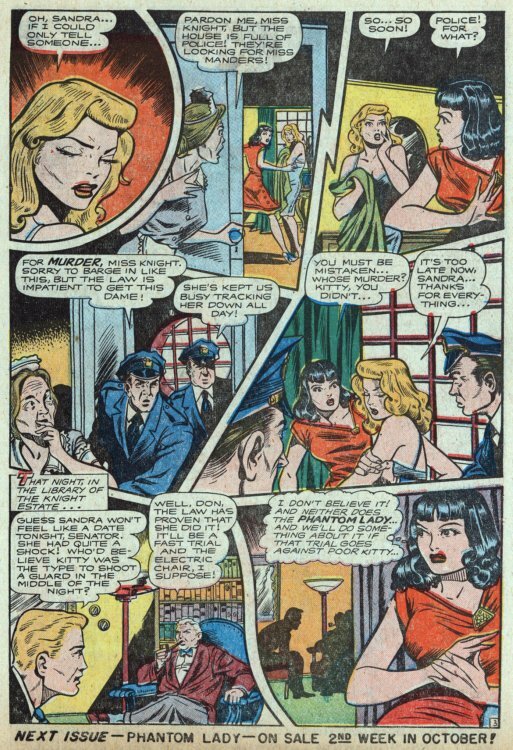 condemned Venus! 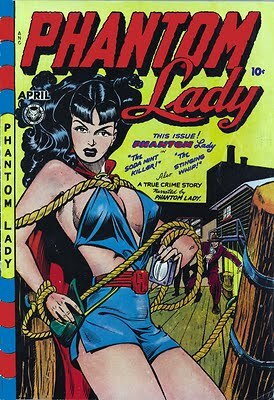 This has got to be one of my favorite Phantom Lady comics! 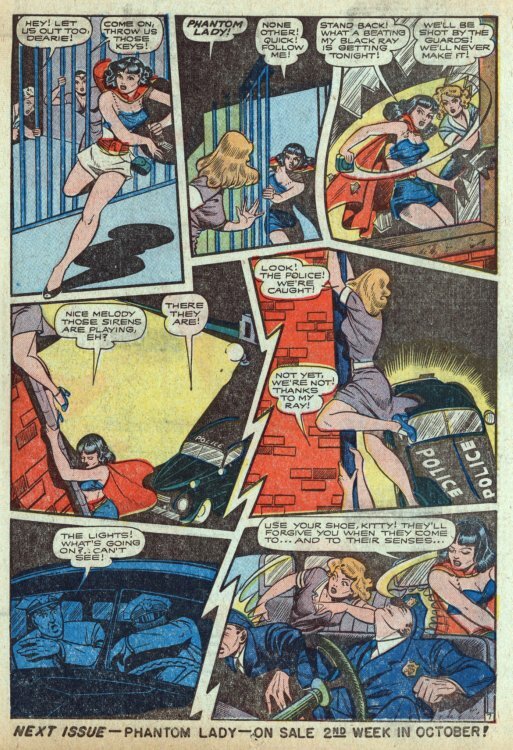 I just love the 'girls on the run' theme way too much!